My reasons for caring so much about Nagomi Visit are very personal. Why would I want to work so hard to make this happen? The simple answer? My experiences growing up Japanese-American in Texas. I grew up in an environment during the 80s and 90s in the States where Japan was thought of as a mysterious land from the Far East described by books like Memoirs of a Geisha. On the other hand, when I met people who loved Japan they were in love with a magical place only described by the fansubbed anime they were watching. Now a decade or so later with Japanese words like “umami” being used in mainstream foodie shows, times have changed since then. But it is hard to believe that things are completely different and all for the better when I continue to see articles on supposedly journalistically legitimate newspapers exaggerating how zany Japan is. Not many people saw the country for what it really was, and this still continues to this day. To fight these extreme stereotypes of Japan my solution back in the day was to start a website called Real Japan. It was a little bit famous among Japanophiles in the late 90s so there is a slight chance that you may know about it. Well, most likely not. The name of the site kind of gives it away, but basically the website was trying to show the “real” Japan not depicted in guidebooks. Or, at least what I thought was the “real” Japan at the time. The content of the website was filled with pictures I scanned from various summer family trips to Japan. About daily life like school, music, fashion...I covered whatever I could. I sometimes look back at some of the content that still can be seen on Internet Archive and I must admit some of what I wrote does make me cringe a bit. Like I would not exactly consider coverage about cool Japanese vending machines an article about the true side of Japan. However, even these articles which were on the superficial side were more “real” than the information that was out there at the time. Fast forward to the 2010s, I am no longer the Japanese-American teen in the States armed with a website but in my thirties having lived in Japan for 10 years and now the Chief Operating Officer of Nagomi Visit. There is much more information out there about Japan so I feel like my job is not to write about the “real Japan” but help people get to the source, which is the actual people who live in Japan and let them do the sharing of what is "real." So what all started from frustration of feeling like one side of my Japanese-American bicultural self was being misunderstood, is now my life’s work. I know the actual Nagomi Visit itself only lasts a few hours but I want participants to see it as an opportunity for opening doors to communication between people who might otherwise not have a chance to meet and that it will just be the beginning of a great friendship where everyone will see each other as whole people. So what happens after a Nagomi Visit? The short and sweet answer is that it is all up to you. This is what we hope makes participating in a Nagomi Visit special. We've had hosts and guest tell us lovely reunion stories. 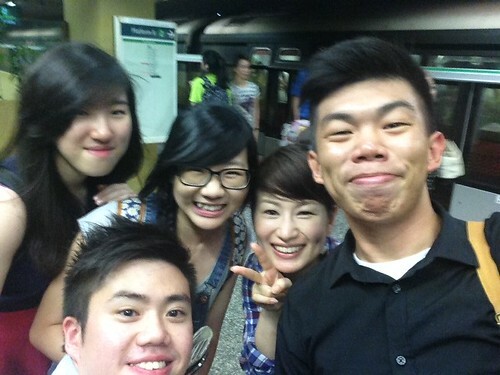 Here is a host who reunited with her guests in Singapore and Peru. 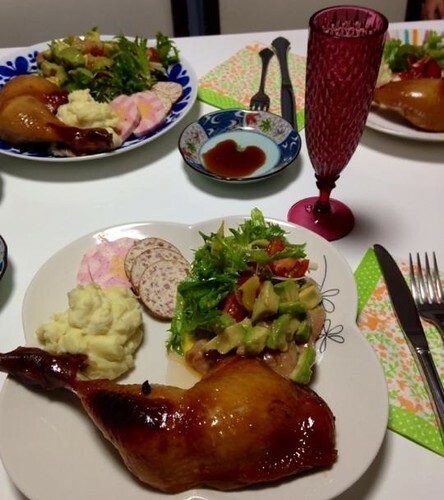 Many others decide to make plans right after while both parties are still in Japan such as going out to eat at one of the host’s favorite restaurants, or participating in a local matsuri festival the next day. The sky has been the limit for what our participants have done post-Nagomi Visit. Others in the meantime keep in touch by sending postcards, care packages, and photos. 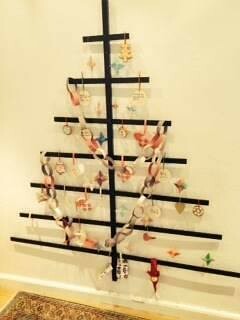 Here is a photo of a guest who shared the origami techniques they learned from their host and used to decorate their Christmas tree. If you have any post-Nagomi photos we'd love to see them and share! Still trying to figure out whether or not Nagomi Visit is for you? Let the blogs speak for themselves! Here is the start of a roundup of various posts we found around the internet in various languages talking about their Nagomi Visit experiences. Though we don’t edit any of the testimonials or reviews shared on our website, thought these blog posts will be more convincing since it is visually obvious we have no control over these posts. So here it goes, starting with a few English blog posts. We’ve actually had travel writers, journalists of all sorts write on their personal blogs of their experiences and this is one of them. Here is another example of a photographer sharing her experience with her breathtaking pictures. We have had expats and students studying abroad in Japan who decided to participate in Nagomi Visits simply because it’s just a good way to start immersing yourself into the culture. "Nagomi Visit is a must-do if you’re living in Japan," she says. Here is a comprehensive post from a lovely participant who actually lived in Japan at the time. Here are just a few written by guests who participated in our various other locations besides Tokyo. 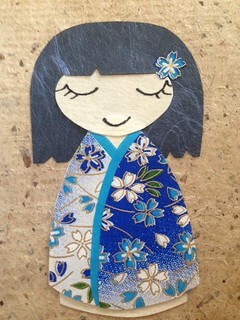 This first one is from a Nagomi experience in Osaka. 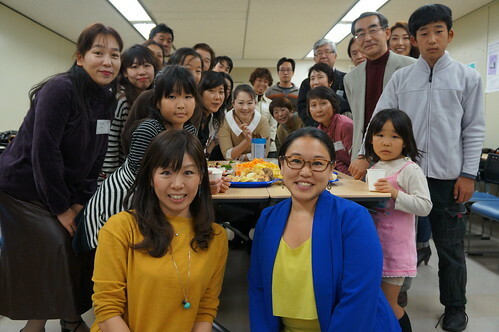 Here is another from some great people who visited hosts in Nagoya. There are many, many others just like the following but we will stop around here as I think you get the point by now! 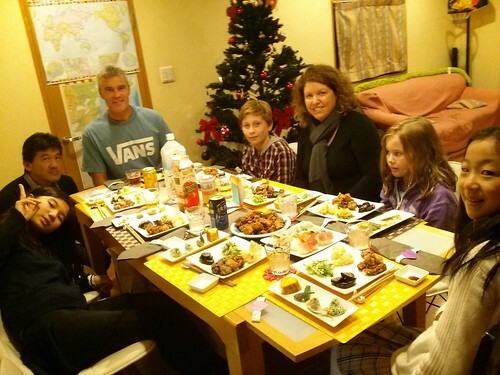 "For dinner we went to a Nagomi visit where a local family lets you visit their houses and cooks you homestyle Japanese food for dinner. Our family cooked us Oden which is a type of vegetable and fish stew. I highly recommend doing this if you come to Japan." Lastly, here is another review of our Cooking Visit program. The great thing about this write up is that it represents a lot of the comments we receive from people these days. 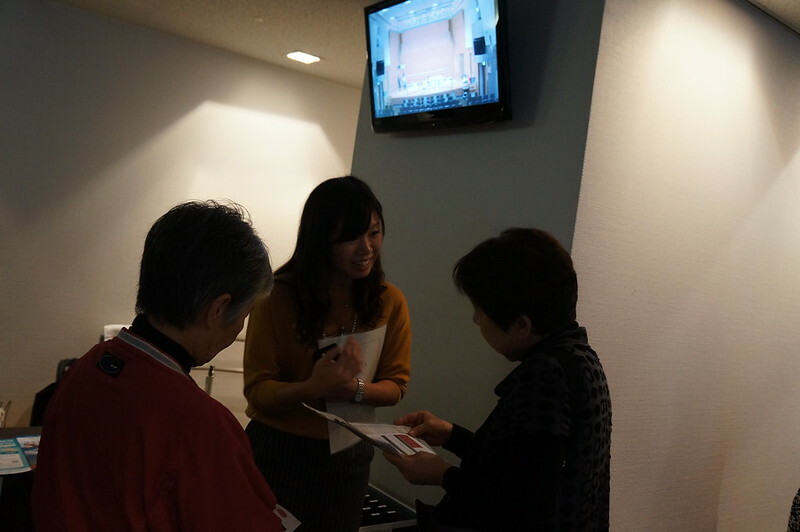 Since we have been running this program a couple of years, we are getting a lot of people participating again every time they come to Japan. Other’s like the following couple here are hearing about Nagomi Visit from the grapevine which is very exciting. "Our friends Rob and Aly recommended this organization for an in-home cooking lesson, and we’re really happy we took their advice. Not only do you get to learn some new skills and ingredients and enjoy a delicious meal, you also get a structured conversation with a local who can guide you during your stay." 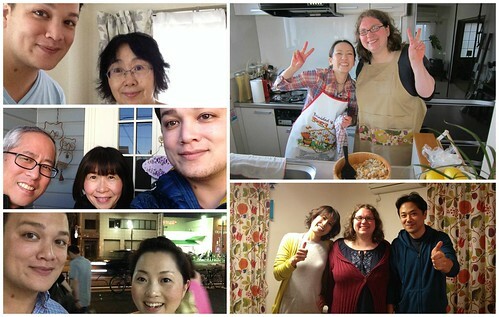 This is a great post by one of our hosts that is both in Japanese and English so you can get a sense of what our hosts are like. 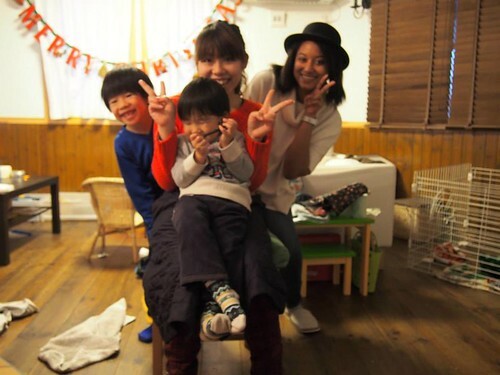 All these four blog are all in Japanese but is a wonderful example of how the Nagomi Visit host network is growing all across Japan and how we are now able to share local family traditions from various regions of Japan. This last one isn't written by a participant but is by a hostel employ who wrote about Nagomi Visit on their blog after hearing about our program from a guest from Australia that participated in a Nagomi Visit. 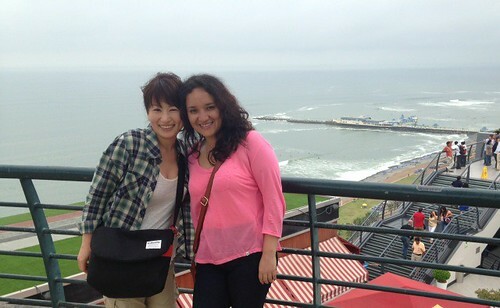 Here is a video by a past guest from Russia of her Nagomi Visit. The Nagomi part starts around 8 minutes 17 seconds. This is the blog post that goes with the video. Here we have a very comprehensive review in Dutch with pictures, a Japan travel guide in Dutch which includes details about a Nagomi Visit...the list seriously can go on and on if we include everything so here is just a quick roundup! If you have any blog posts to share with us or anything, we look forward to hearing from you! 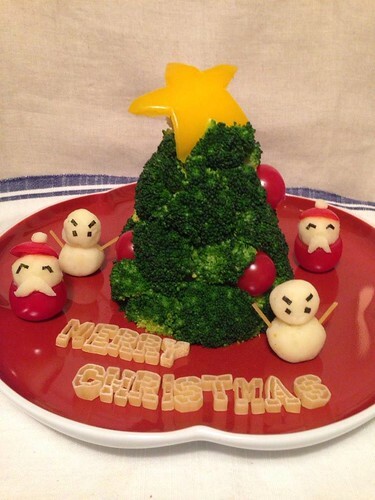 There is more to a Japanese Christmas than what you may have read. 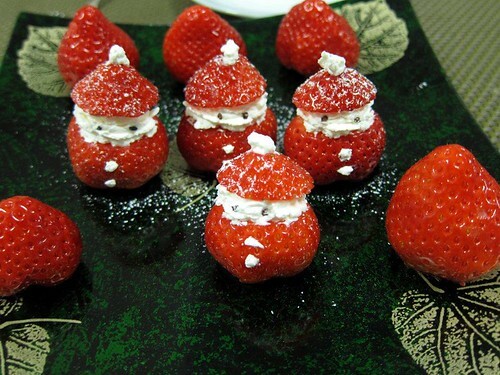 It is not always just about eating Kentucky Fried Chicken or spongy strawberry shortcake. Not that that's bad since the cakes are sure soft, moist and deeeelicious! 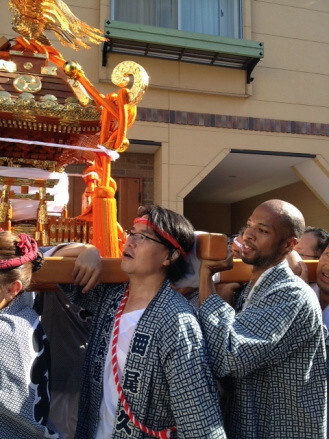 We just hope you will be able to discover how our locals celebrate differently through Nagomi Visit. Here are just a few examples of how our hosts have gotten creative. 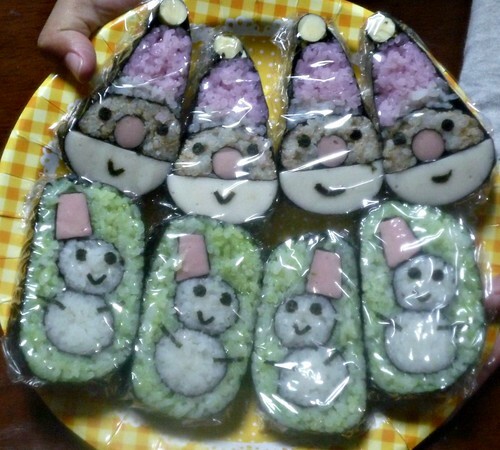 Some Christmas themed santa and snowman sushi art anyone? Or some Japanese-style roasted chicken marinated in soy sauce? 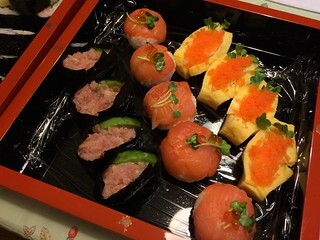 Sushi is often eaten to celebrate special occasions and Christmas is one of many for a lot of locals. 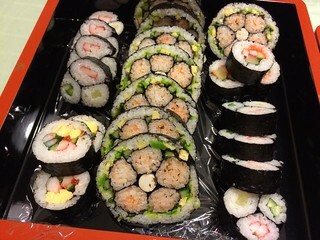 From homemade sushi like the ones pictured below, to sushi delivery and yummy but affordable supermarket sushi. 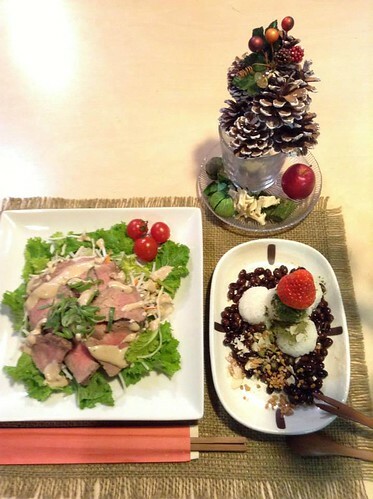 Though people usually work on Christmas eve and on Christmas day in Japan, there are many hosts who would be more than happy to welcome you and share their traditions for dinner so come celebrate with us! 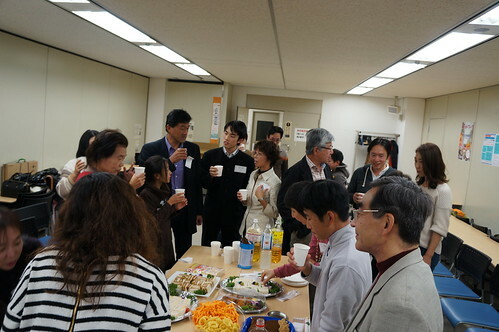 On November 8th Nagomi Visit had its second annual general assembly and host meet up in Tokyo and the turnout was fantastic. It is hard to put into words how amazing it is to see people of all ages from kids to grandparents come together for the same cause. They were all there to share their passion for cultural exchange and we felt very blessed that everyone in the room understood why the Nagomi Visit Team work so hard day and night to run this program. Many of these hosts have welcomed multiple guests and have told us that those experiences have helped them to learn about many things, break stereotypes, and to learn more about their own country. 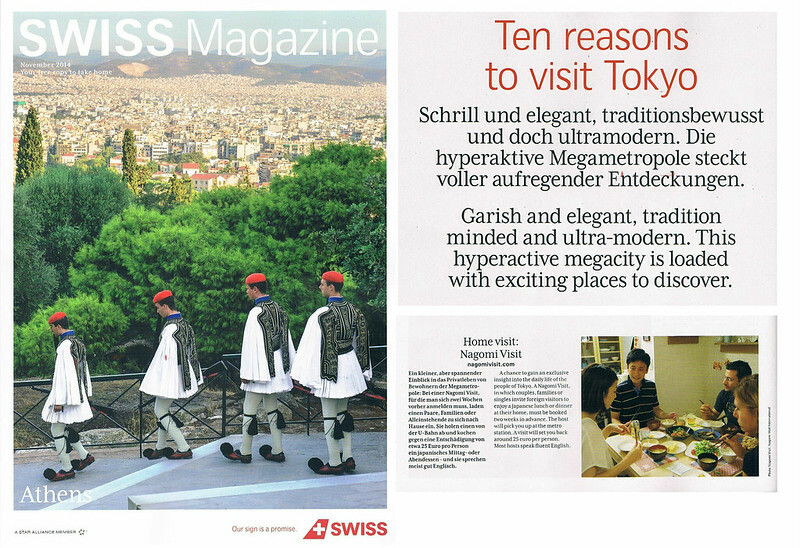 The rest of the article continues describing Nagomi Visit as a recommended activity for those visiting Tokyo "in which couples, families or singles invite foreign visitors to enjoy a Japanese lunch or dinner at their home." Note that just after the article was published we changed it so you only need to book 10 days in advance instead of two weeks to make it easier for more people to participate. We very much look forward to more people traveling from Zurich and all other parts of Switzerland to join a Nagomi Visit! 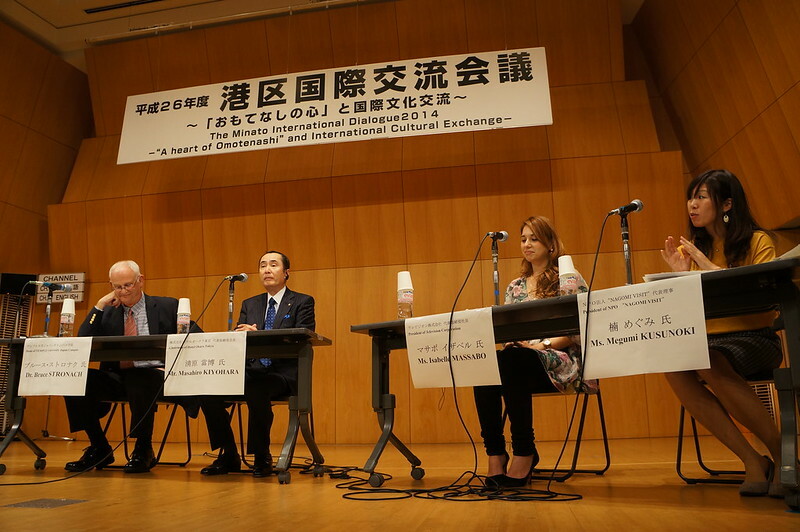 Nagomi Visit at The Minato International Dialogue 2014 "A heart of Omotenashi" and International Cultural Exchange"
Nagomi Visit’s founder and CEO (right) was a part of a panel last weekend discussing the importance of grassroots international exchange. This was a rewarding way for our organization to share how much we value cultural exchange that goes beyond the surface. A big arigato to those involved in making this happen! We truly hope more people get to know why we started this organization and continue to run it. Being yourself is key at a Nagomi Visit. The host has already read about you through the request you sent, and excited to meet you so there is actually nothing to worry about. Just figure out how to get to your host’s place using Google Maps, or your hosts can definitely help. Make sure to get there on time and be hungry. However, since this may be your first time going to a Japanese home, you might be a little bit nervous being out of your element so here are a few tips to prepare yourself for your big day. Inform yourself of free wifi services available all across Japan. Buy a sim card for your phone in case there is no wifi available nearby. You can also rent phones or wifi routers at the airport. Make sure you provide the host with an emergency contact number or messaging app account that goes directly to you and not your travel agent. Remember that punctuality is important. Unless a host recommends otherwise, take the train instead of buses or taxis when meeting your host since trains are almost always on time. Keep in mind that trains depart and arrive exactly on the minute their schedules promise, so if your host recommends you get on the train that departs at 17:23 it will most likely depart exactly at that time so make sure to arrive before that so you can get on that train. It means “nice to meet you” and is a greeting used when you meet someone for the first time. Saying a greeting in Japanese might help to break the ice. Don’t worry if you pronounce the phrase incorrectly, it’s the thought that counts. The walk from the station to your host’s home is your first opportunity to talk with your host. This might be a good time to refer to the host’s profile to strike a conversation so make sure to read the “Your Nagomi Visit booking is complete!” email you got from us before the Nagomi Visit. A few digital photos of your hometown, work, hobbies, or local cuisine will make for great conversation. Remember that the host really wants to get to know you so don’t be shy about sharing because that is what a Nagomi Visit is all about. Yes you may have read somewhere to not pass food from chopstick to chopstick, and to not stick your chopsticks upright in your bowl of rice, but don’t get too stressed out with all the rules. Just Hungry has a great post about the details so if you want to learn more, read through everything before your Nagomi Visit. Just remember, the visit itself is a time of learning too so the host won’t be offended if you make any mistakes. Just do your best. Just remember, oishii (oy-she)! If you think something is delicious, just say it. When you see that everyone is full and has stopped eating, saying gochiso-sama deshita (goh-chee-soh-sah-mah-day-shee-tah) and for the advanced, adding a oishi katta desu to express how delicious the food was will make your host smile! You probably read somewhere in your guide that gift-giving is important in Japanese culture and although that is true, remember on a Nagomi Visit none of our hosts are expecting you to shower them with gifts. They are excited to meet you so your stories and your photos are already a gift. However that said, if you do want to bring a gift, though there are certain rules of etiquette you may have heard of such as chrysanthemum are only for funerals, on a Nagomi Visit it is more important that you put extra thought into the gift so don’t worry so much about offending your host. Any treats from your hometown, or you may think of something that your host might like after reading their profile. Your Nagomi Visit is your chance to ask questions. Jot down all your observations or questions if you know you will forget. They may not know the answer but it will always be a good conversation starter and you both might learn something from the experience. If you ever have any questions or concerns feel free to contact your host or the Nagomi Visit team anytime! Next month on October 25th Nagomi Visit’s founder and CEO will be a panelist speaking about cultural exchange in an event sponsored by Minato City, one of the most international wards in central Tokyo. 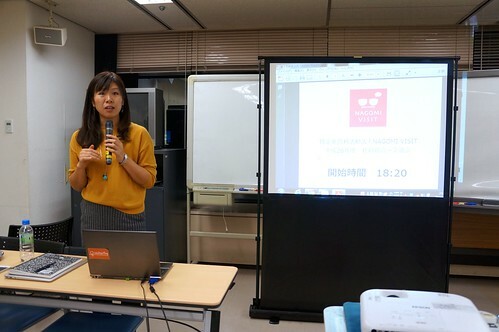 With the 2020 Tokyo Olympics coming up and the Japanese government’s plan to double the number of annual tourist coming to Japan to 20 million, Nagomi Visit is seen as a crucial component in bringing understanding between Japan and the world. 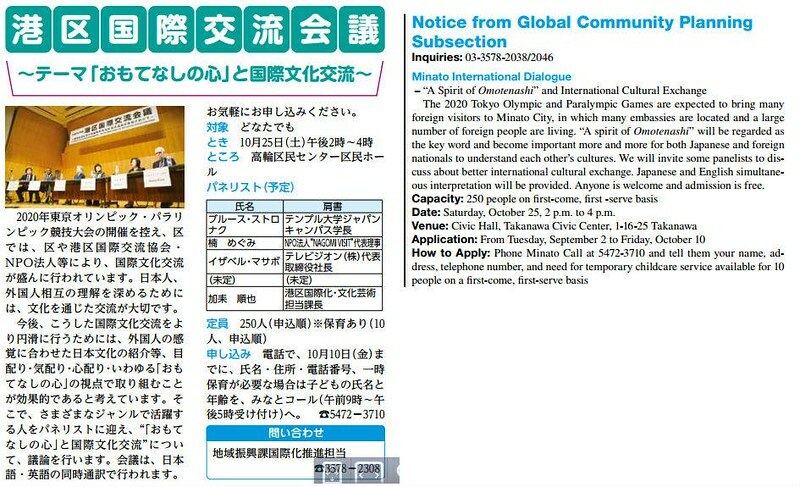 More information in English can be found in the Minato Monthly newsletter. For details in Japanese check out the Minato City website.